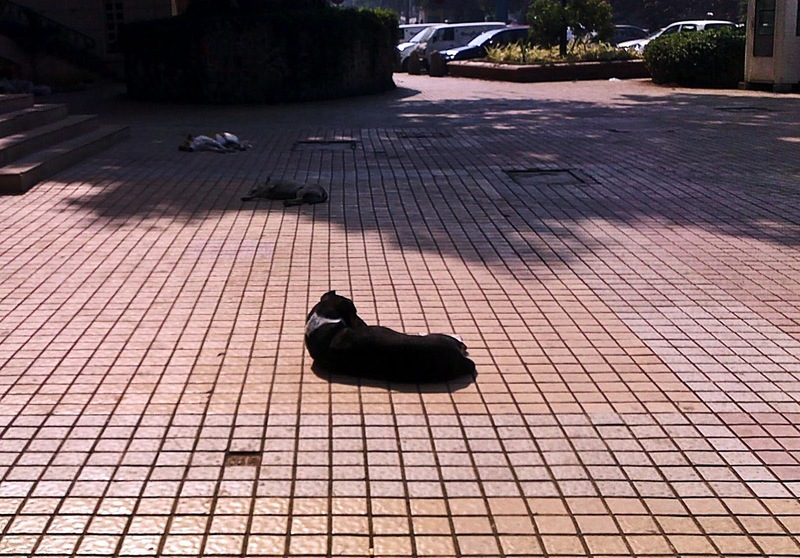 Stray dogs can be seen everywhere in India. The general public tolerates them and often security guards or slum dwellers keep them as pets although the dogs live on the roads and in the parks. On one hand there is a deep love for animals in India and on the other hand some cruelty is also seen. Here are a group of dogs sleeping peacefully on a pavement in a posh shopping area. 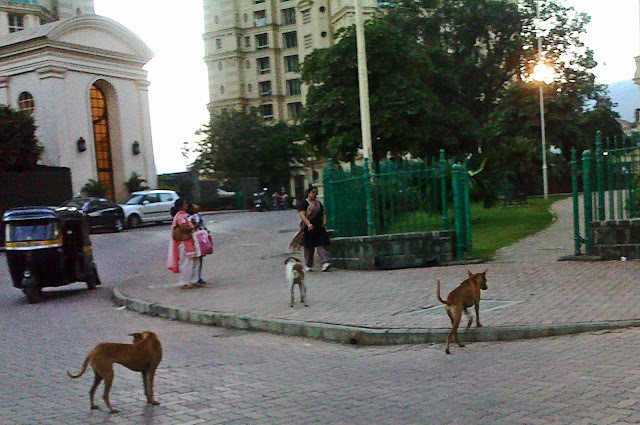 Here are stray dogs hanging around a children's park, the entrance to which can be seen to the right of the image. 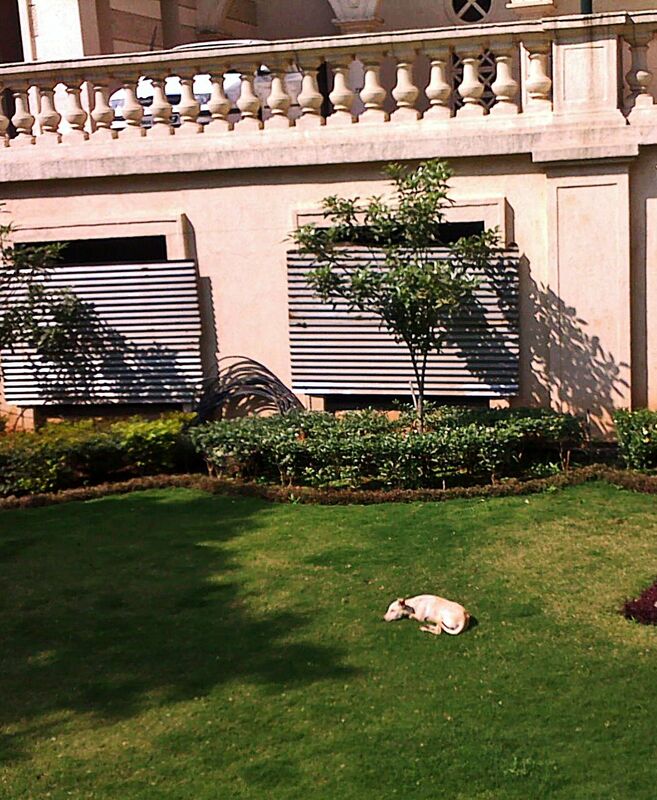 This is a stray dog sleeping peacefully on the lawns of a housing society. 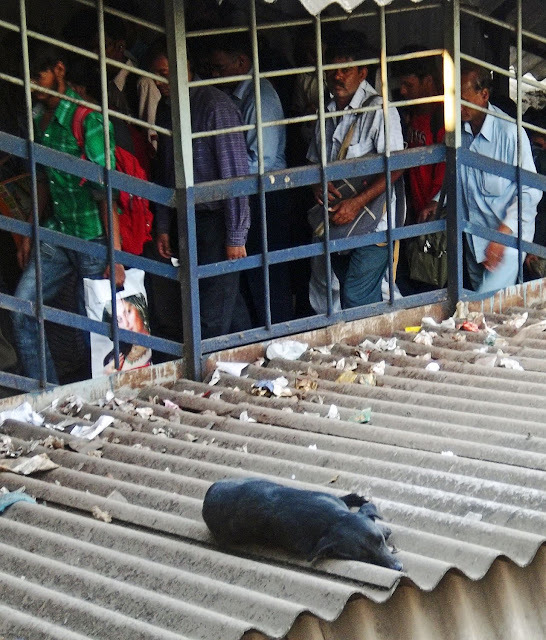 Stray dogs are seen in plenty at railway stations. This black dog has climbed up on the roof of one of the platforms. 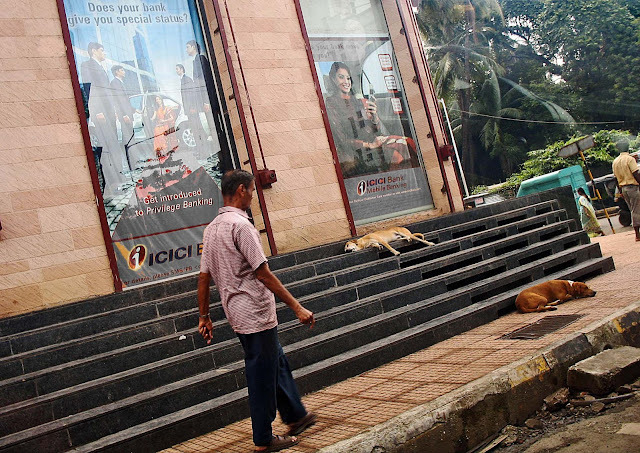 Here are a few sleeping dogs outside a prominent bank. Related Pictures: Elephants on the streets of India or Pigs eating garbage Man with camel - photograph and silhouette or check out posts on "Wildlife."